Definitely the highlight of the convention for me. When I was searching through the convention program and I saw Aaron Beck’s name listed I knew there was simply no way I could miss it. There tends to be moments in one’s life when things come together…when you read something and you feel like the author understands you…thinks like you. Their words form a counterpoint to your thoughts. That’s how I felt the first time I read Aaron Beck’s work and his description of the cognitive model*. His model really connected with the way I saw and thought about the world. That moment of insight laid the groundwork for all future therapeutic work I would and will do. Needless to say, it was pretty special when I could meet (or rather just see) the man in person. 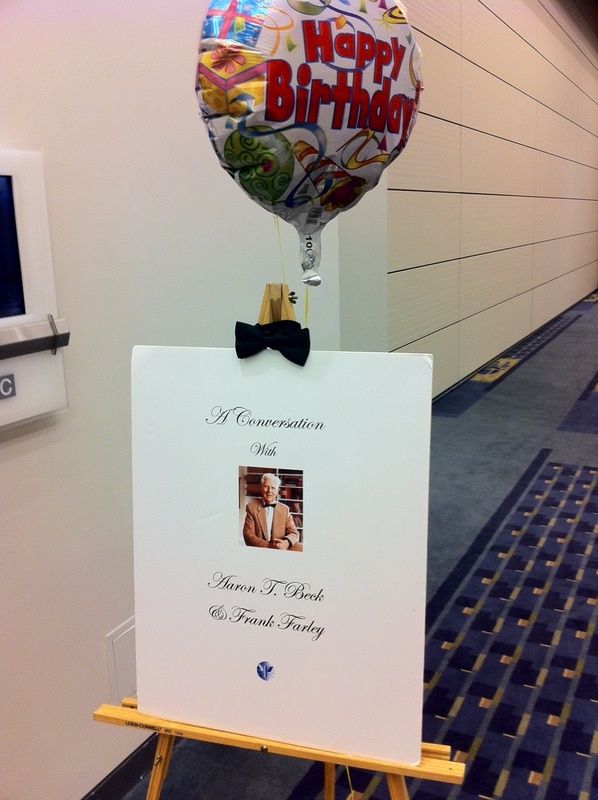 The set-up of the presentation was a 90th birthday conversation w Dr. Beck complete with a birthday card and balloons. I was fortunate enough to sign the giant card for Dr. Beck (I wrote something along the lines of “Happy B-day! Thanks for all your contributions to the field!”). Dr. Beck began the discussion with his description of the (still in development) Generic model which was initially stated to be an addition to the cognitive model. I didn’t quite follow his differentiation between the generic model and the cognitive model we all know and love today but it appeared to be an attempt at a broader conceptualization (anyone with a clearer understanding of this model please feel free to speak your mind in the comments section). Dr. Beck then took questions from the audience including questions such as how was your experience with the Dalai Lama, what psychologists influenced you, and what life advice would you give? Best joke of the day came in his response to the second question in which he described his many interactions with Albert Ellis (other primary and influential cognitive therapist). Dr. Beck quipped “Albert Ellis influenced me in many ways but I never influenced Albert Ellis.” (Likely a reference to Ellis’ often brash and confrontational style). Best moment of the day came in Beck’s response to the third question. 1. Keep things in proportion. 2. Turn a disadvantage into an advantage. 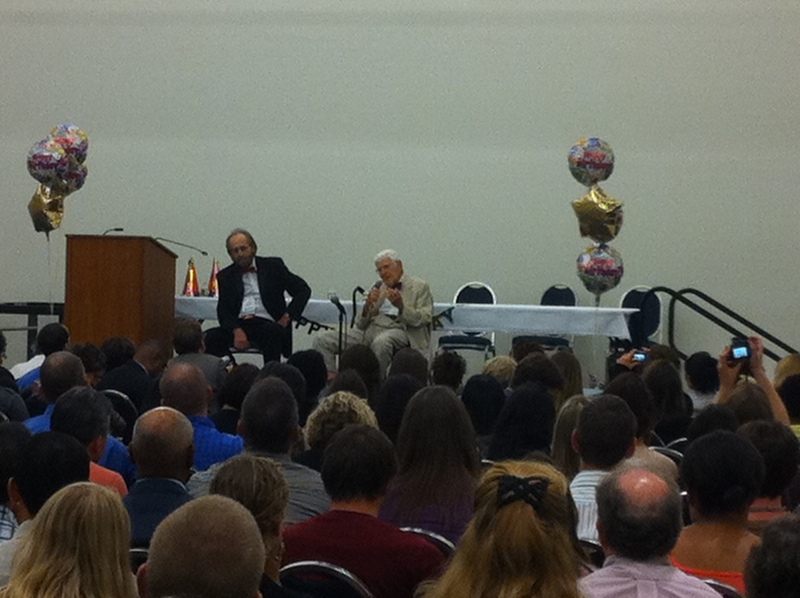 These were the two pieces of life advice Dr. Beck gave to the inquisitive and attentive audience. I thought this advice was quite remarkable and essentially described cognitive therapy in a nutshell. Keeping things in proportion is the opposite of the the well-known phrase “catastrophizing” taken from cognitive therapy in addition to cognitive therapy approaches such as examining the evidence and identifying cognitive distortions which attempt to bring cognitions back into proportion. Listening to Dr. Beck (white haired gentleman on the right of stage) describe the cognitive model as well as give life advice was quite a treat for me. 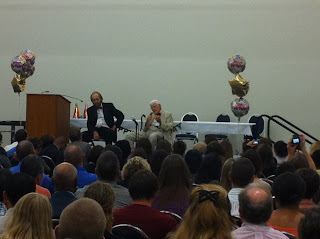 I hope that all current or aspiring therapist someday get the chance to listen to Dr. Beck in person. Although its unlikely that he will have many more decades to spend with us, the past 5 decades have been tremendous and quite a blessing to the field of psychology. *An aside: I am a strong believer in the zeitgeist view of history (as opposed to great man (person) theory of history). Therefore, if Dr. Beck didn’t introduce us to the cognitive model, someone else eventually would have created a similar idea because that was the spirit of the times. 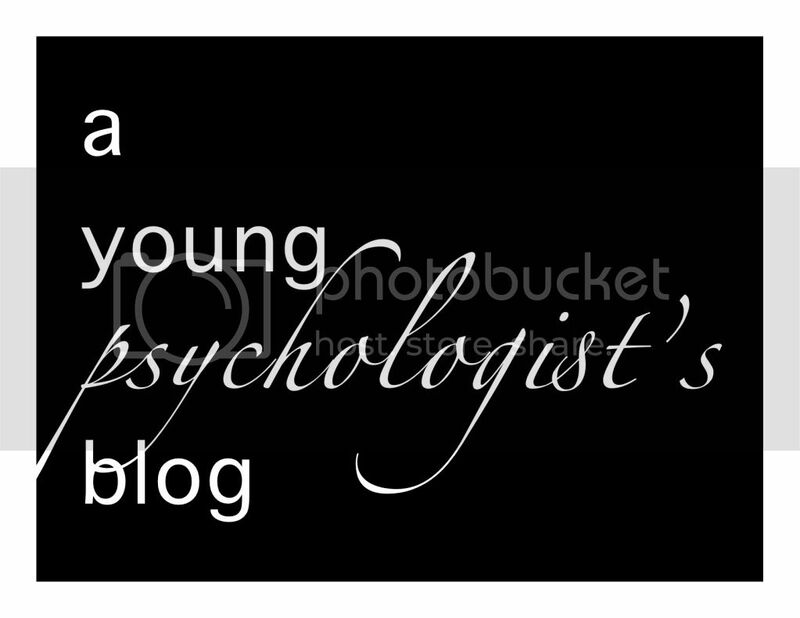 Although, it might have been called the thought-centered therapy…or analytical therapy..who knows. Regardless, Aaron Beck has been a tremendous scholar and has catapulted the practice and science of psychotherapy over the past 40+ years.